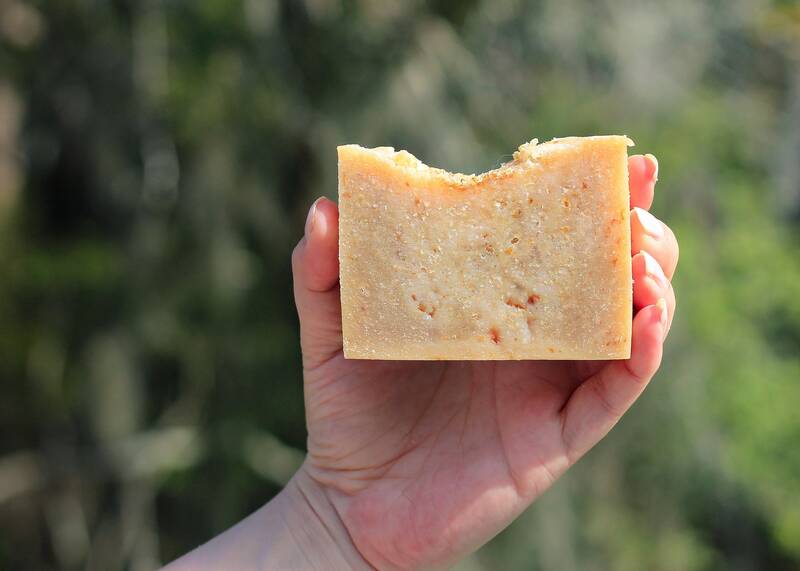 This is our gentlest bar for sensitive skin. 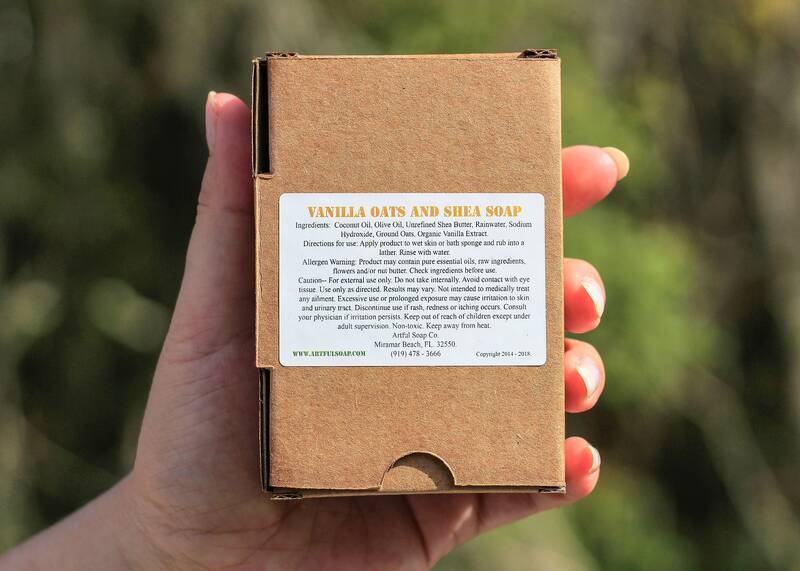 Pure vanilla and shea butter will wrap your skin in silky luxury. The delicate blend of oils gently clean the skin while ensuring no irritation. One of our great sellers and the best for highly sensitive skin. 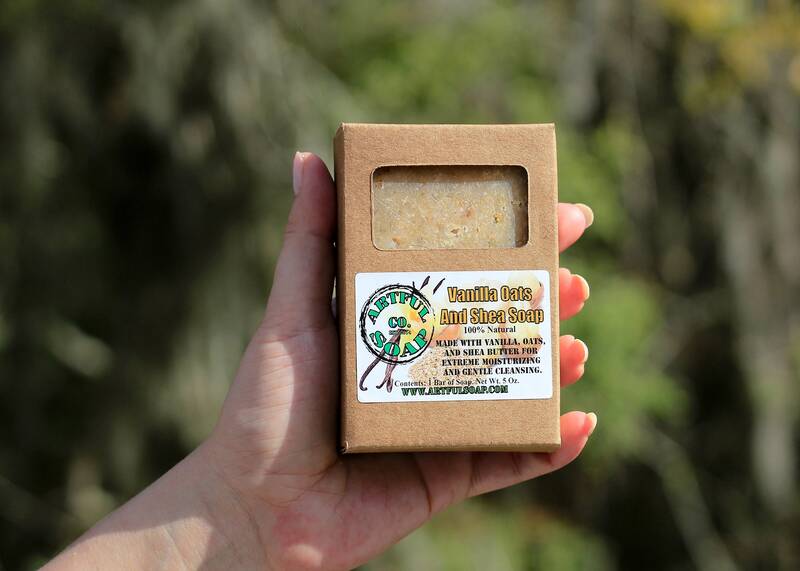 Note: Artful Soap Co. is not a laboratory or medical facility and makes no guarantees to the treatment of ailments. This product is not intended to medically treat any ailment. Consult a physician if irritation persists. Results may vary and information used is based on consumer feedback and public knowledge. Due to this product being handmade, variations in appearance may occur per batch. Ingredients: Coconut Oil, Safflower, Olive Oil, Rolled Oats, Shea Butter (unrefined and naturally crushed), Pure Vanilla Extract, Rainwater, Sodium Hydroxide. The soap smells and feels amazing, thank you so much!